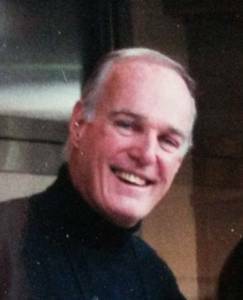 Jim died at age 80 on Wed. March 22, 2017. He was born in Milwaukee on May 10, 1936 to Lewis and Edna Stocking. Jim is survived by his wife, Kathleen, his son, Eric (Theresa Brugert), his daughter, Kathryn and his grandsons: Mitchell, Colin and Ryan Stocking. He is also survived by his brothers John (Mary Hartley) and Daniel (Mary Ellen Niles) as well as his step children: Marcus, Todd, and Matthew Buerosse and Laura Albrecht. Jim graduated from Milwaukee Country Day School in 1954 and Yale University in 1958 where he earned varsity letters in track for three years. After brief military service, Jim graduated from the University of Wisconsin Law School and practiced law from 1962-1992. Jim lived most of his life in Wisconsin. He was a loyal Mason, Potentate of the Shrine and member of the Scottish Rite. Jim was blessed with a good mind, a strong body and loving parents. His challenge was a strong drive for recognition and being in charge. He was a determined individualist who demanded high performance from others as well as himself. He was loyal to those who remained close to him and very generous in helping people financially. The memorial of Jim’s life will be private for the family.